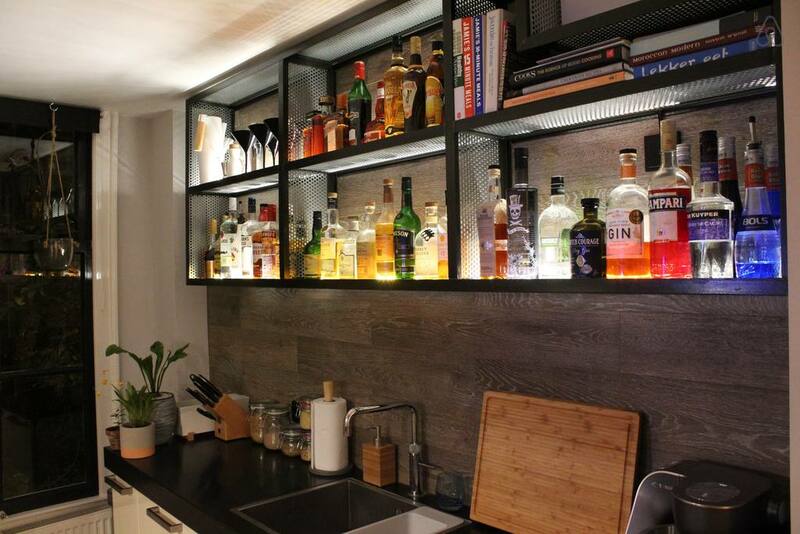 Looking for a cool Airbnb for your party in Amsterdam? As a place to visit, Amsterdam has it all: some Europe’s finest architecture, a very chill lifestyle, and fascinating cultural heritage. This city is everything but plain and boring – it’s extremely vibrant, fun, liberal, and diverse. Some of the best clubs in the world are here, some of the greatest works of art are in the city. If you’re reading this, then you’ve probably already decided that you and your friends want to be a part of this world – even for only a couple of days. Luckily, Amsterdam is more than ready to accommodate you all. If you’re looking for the best, then you’ll love what we have to show you. 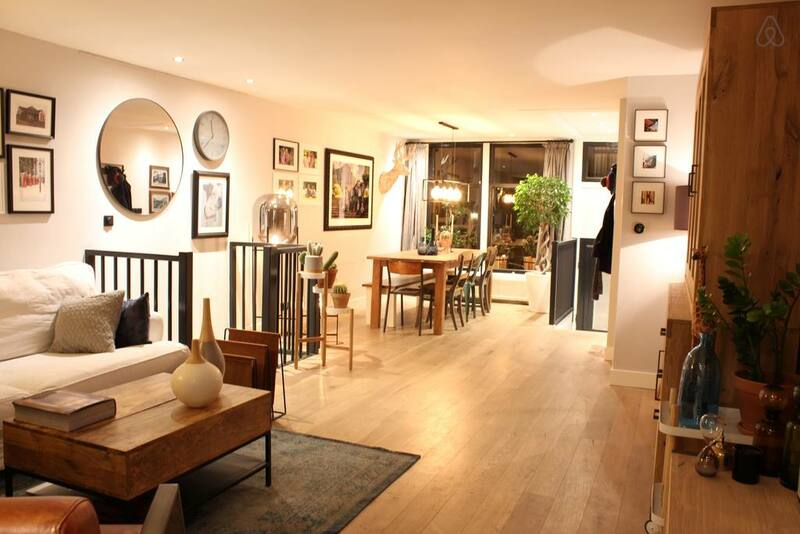 Here are some of the best Airbnb homes for you and your friends stay in during your ultimate Amsterdam experience. Now, isn’t this place just stunning? 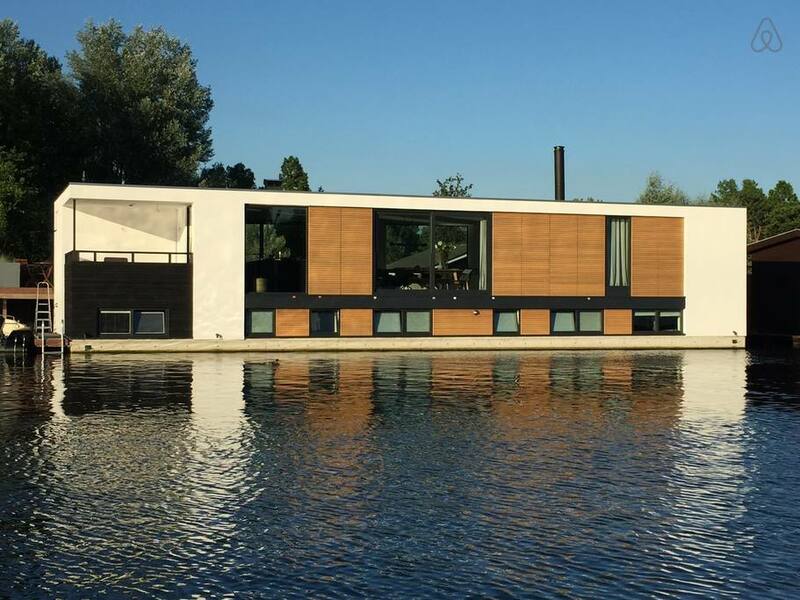 Who wouldn’t want to stay at this drop-dead gorgeous houseboat? It can easily accommodate up to six people and it features three bedrooms and two bathrooms. Located in the heart of the city, it’s only a walking distance away from the great historical places such as the Anne Frank House, but also all the best clubs and bars. 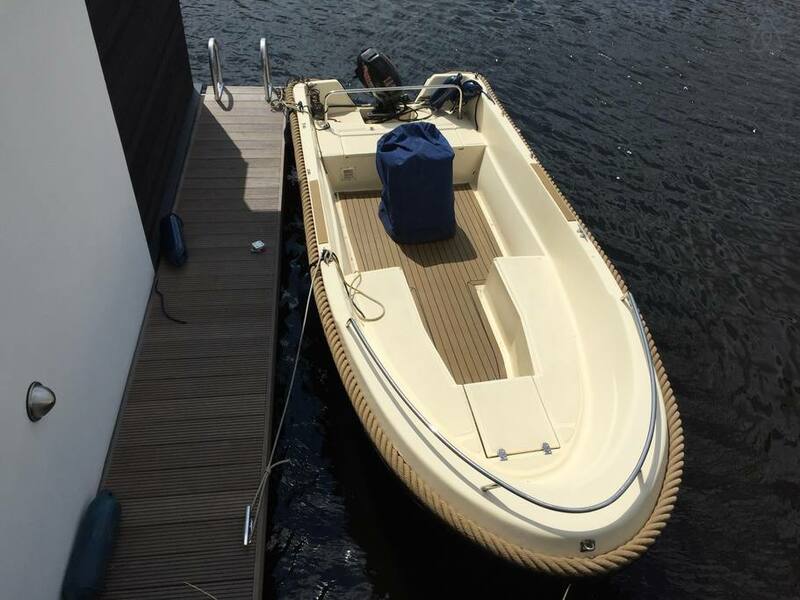 Even though it’s a houseboat, it’s still fully-equipped with everything one’s ever going to need. The kitchen is very large and spacious, allowing you to easily cook delicious meals, the hot tub will provide you with ultimate relaxation, and an indoor fireplace will keep you warm and cozy. The patio is amazing for chilling out and chatting in the evenings and mornings, giving you the ultimate pleasure. By staying here, you’re guaranteed an unforgettable experience. 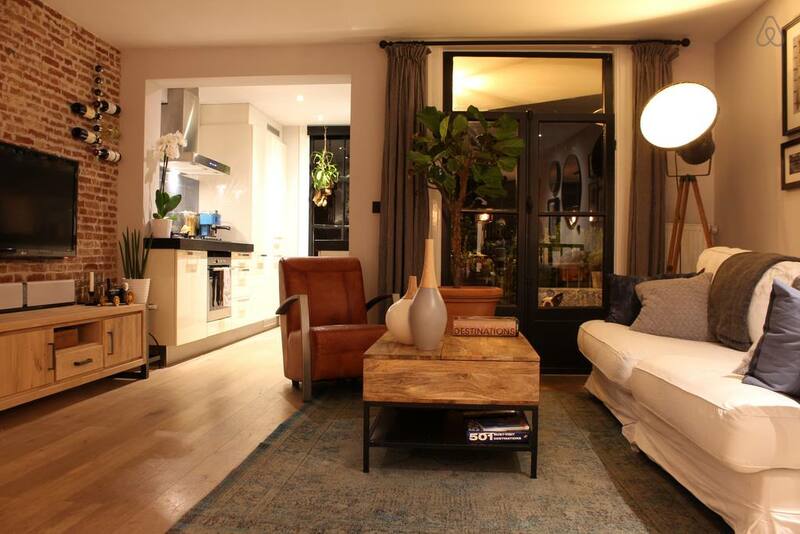 This lovely, contemporary apartment is located in a historic 19th-century building in the very sought-after neighborhood of de Pijp. 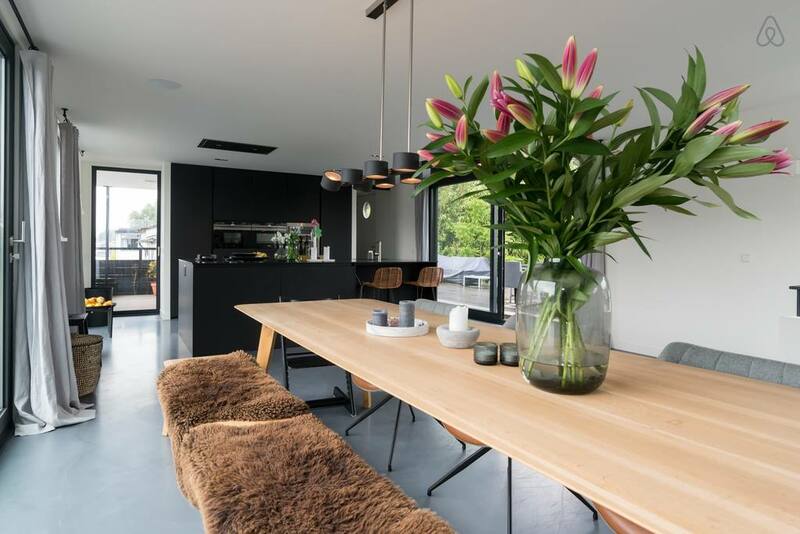 Recently refurbished, this home will provide you with comfort and easy access to everything you’ll even need – it’s only a short distance away from the Heineken brewery, Vondelpark, Museumplein, and a lot more. It can accommodate up to four people and it has one bathroom and two bedrooms. Another great feature is the amazing garden-patio, perfect for morning coffees and late chats. There’s also a barbecue grill, which is always fun when gathering up in the evenings. The kitchen is modern and fully-equipped, allowing you to cook your favorite meals with ease. This place is truly beautiful and stylish, not to mention how convenient it actually is. If you’re here on a business trip, you’re in luck – the RAI Convention Center and the business district are just around the corner. If you’re modern and like to travel in style, then this place is perfect for you. 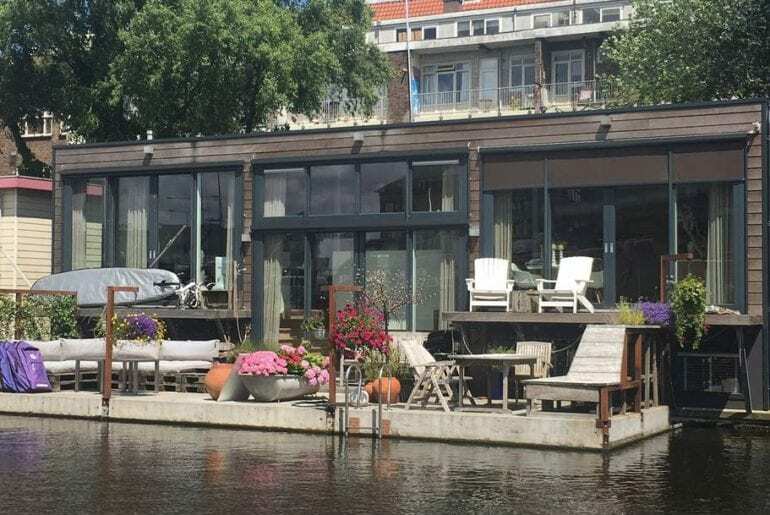 This contemporary palace sits on Amsterdam waters, right next to the city center. 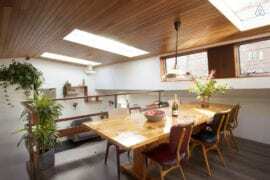 It’s located only a walking distance away from Vondelpark and many other famous places. The décor is very current and the whole place is very spacious and large – it can host up to six people and it has three bathrooms and two baths. Some of the features that you’ll get to enjoy are the lovely backyard with a barbecue, a swimming pool, and a fully-equipped kitchen. In the evenings, you’ll be able to cozy up next to an indoor fireplace, or sit back and enjoy watching some TV with your friends. Undoubtedly, this place is one of the most outstanding properties you’ll ever come across. 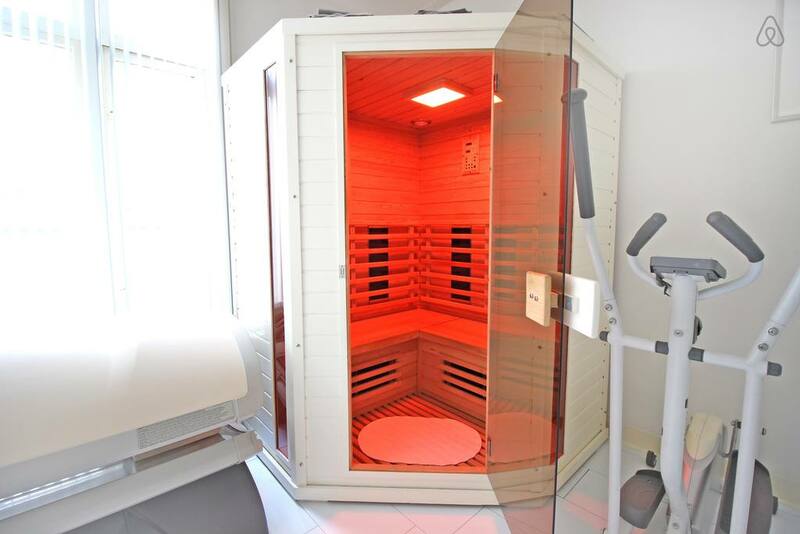 It’s very convenient, comfortable, well-equipped, and simply breath-taking. This drop-dead gorgeous apartment is out of this world. 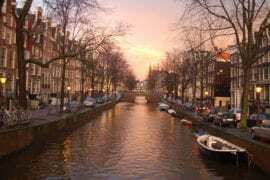 It’s located right in the middle of Amsterdam city center, only a short walking distance away from all the famous tourist attractions – the Anne Frank House, Amsterdam Museum, Dam Square, the Flower Market, and many more. By being so easily accessible and convenient, it will provide you with an ultimate experience. The White Penthouse has plenty to offer. There are two spacious bedrooms, one bathroom, and it can accommodate up to four people. 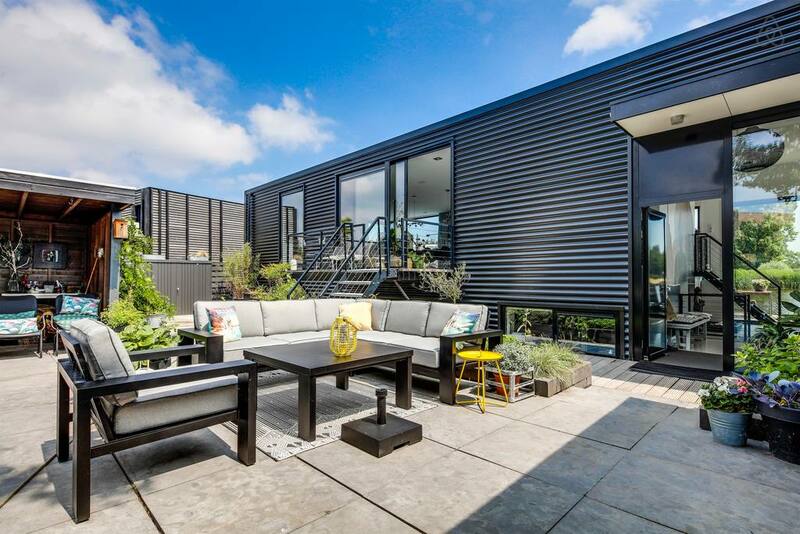 Some of the amenities include a fully equipped kitchen, a gym, and an indoor fireplace. You’ll also be able to sit back and relax with your friends in the amazing hot tub. The décor is all-white, hence the name, and it has a couple of red accents to add dimension and flare. Everything has been very well thought out and every corner at this place is inch-perfect. 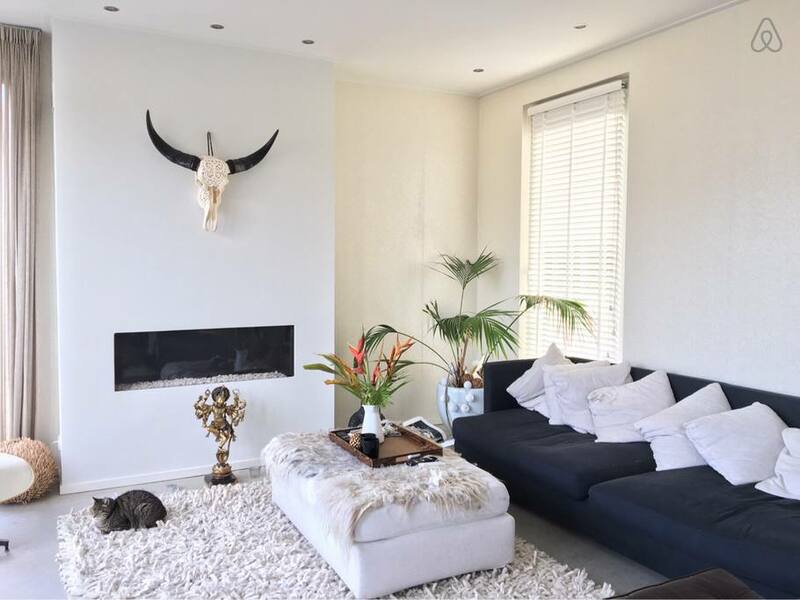 If you’re coming over with a larger group of friends and want to experience all the Amsterdam buzz while still being safely tucked away from the city center – then this palace is perfect for you. It’s located just outside Amsterdam, being only 15 minutes away by car from the city center. 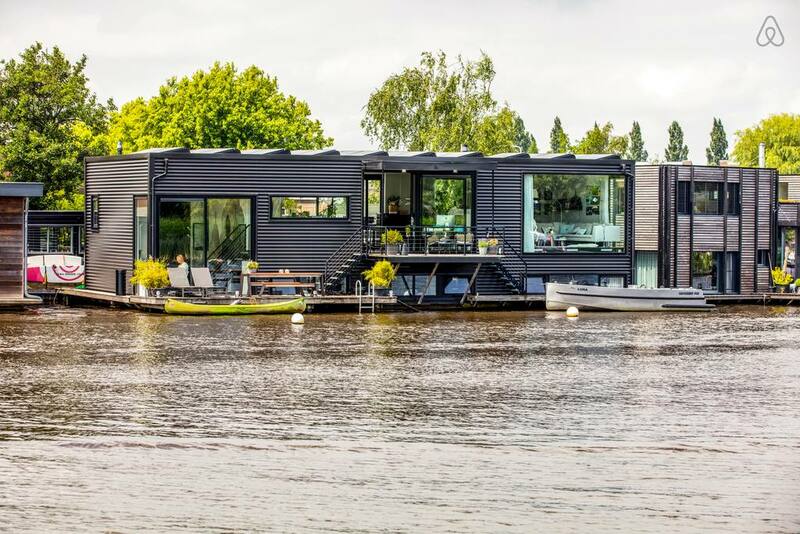 This amazing house is blissfully floating on the water, giving you an amazing view of the surrounding area. 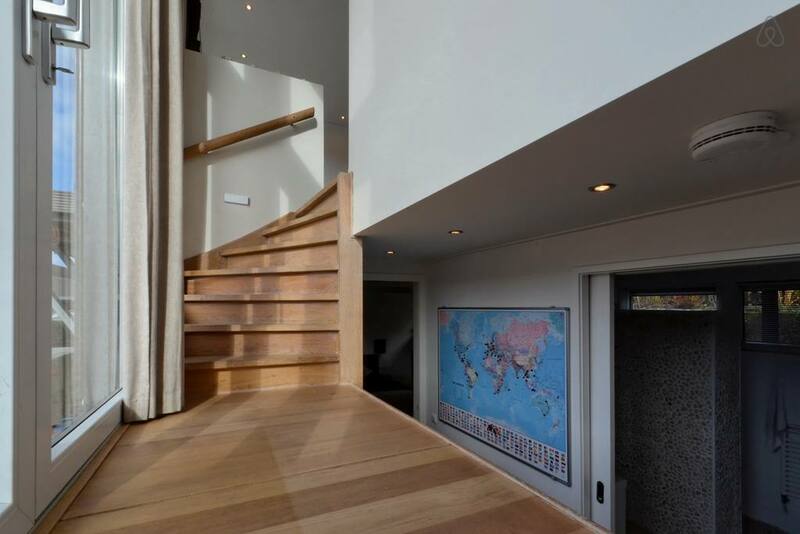 This spacious home can accommodate up to six people and it offers four bedrooms and two bathrooms. 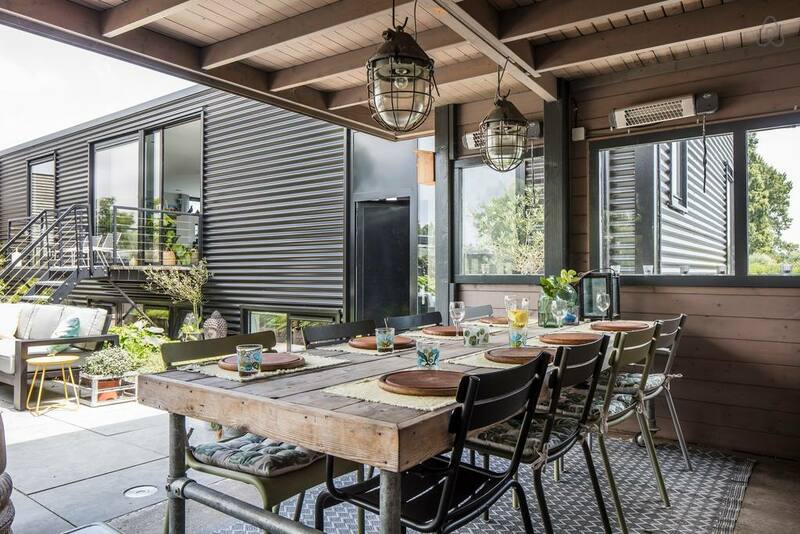 It has the best backyard, perfectly decorated for spending time outside with your friends or hosting a smaller party. The interior is equally as interesting, being decorated very modernly. You’ll get to chill out in a hot tub or a swimming pool, cook your favorite meals in the chef’s kitchen, or simply wake up with the calming sound of water. This house is the ultimate getaway palace that has everything you’ll ever need! There’s plenty to do, such as rent a boat and explore the area, or hop on a train or a car and go straight to party. Either way, it’s going to be outstanding. 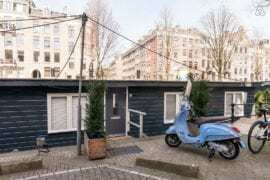 8 Amazing Amsterdam Rentals You’ll Have To See To Believe!